Whomp whomp. There're no Baby Blue/Pink Monsters for sale. 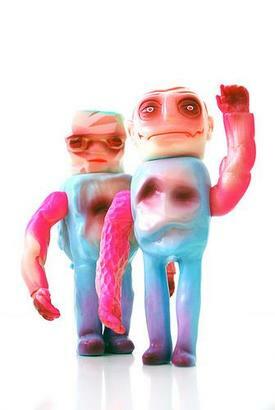 A fall 2011 release through Lullubell Toys featuring the usual slate of Monster heads (Dracula, Frankenstein, Mummy, Golem, Invisible Man, Wolfman) and 6 different arms and multiple bodies for many configurations.